This half mount is hand carved from poplar and is airbrushed with iridescent paint that allows the wood grains to show through. Up to seven layers of varnish are applied for an indoor finish. 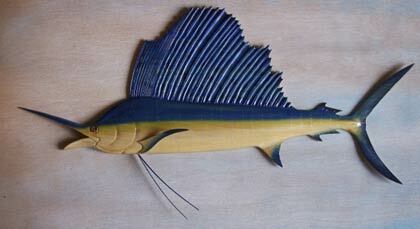 Measuring 31 x 13 inches, this carving is an original design by artist Dock Lindley. All carvings are signed and dated on the back.